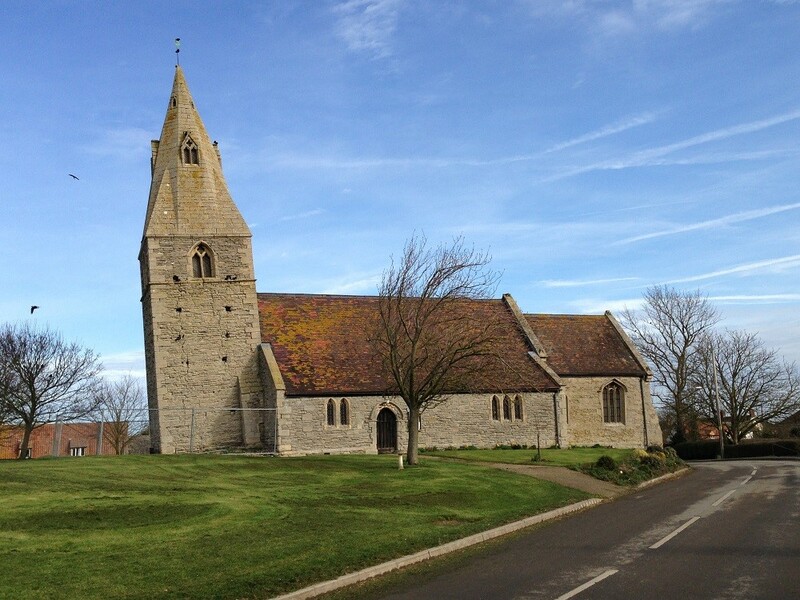 The Church of St James in Dry Doddington, Lincolnshire, dates from the early part of the 12th century with later alterations in the late 13th and early 14th centuries including the addition of the west tower. It was built from local limestone, known as Blue Lias, with limestone ashlar dressings. The tower, topped with a spire, is locally famous for its lean which villagers estimate to be between 4.9 and 5.1 degrees meaning it leans more than the significantly more famous Italian tower in Pisa which can only boast 3.97 degrees! 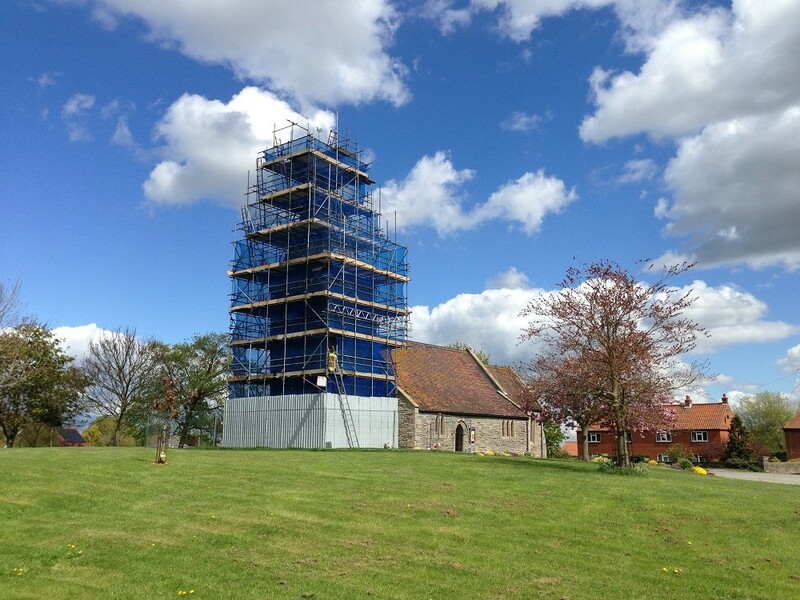 The church underwent significant restoration in 1876-7 when the roof was raised to its present level but the tower is thought not to have moved until the late 19th or early 20th century. It was underpinned in 1919 and does not appear to have moved any further since then. 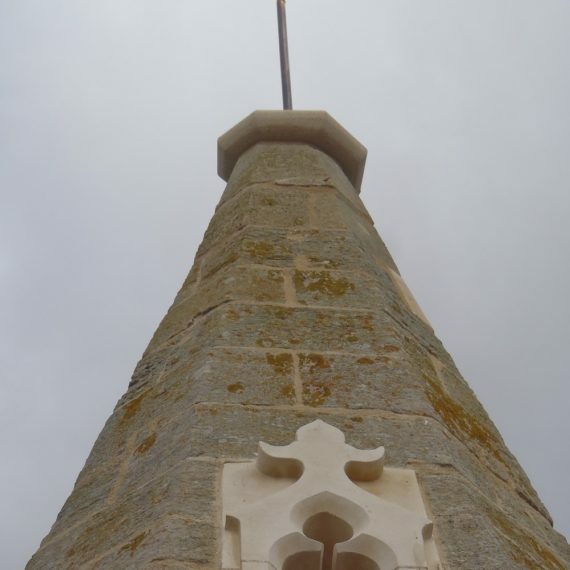 Due to the church’s exposed position in the village it has suffered from the effects of the weather and extensive conservation work was needed on the tower and spire. Work started in March 2015 and was completed later that year. 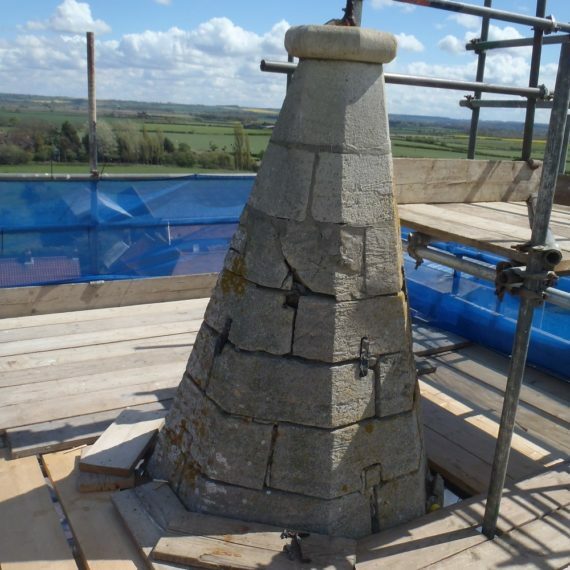 In keeping with the original materials used, Blue Lias walling stone was sourced from Somerset which is the nearest geological match, as it is no longer available in the East Midlands. More local Ancaster Hard White limestone was used for the dressings. 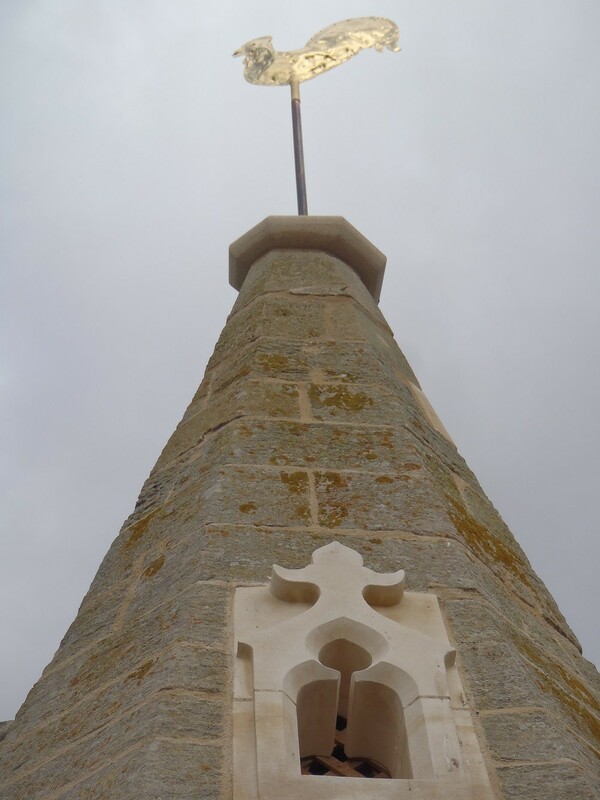 Although the masonry repairs were essential to the fabric of the tower there was no desire to correct the tilt as it is a fundamental characteristic of the church. 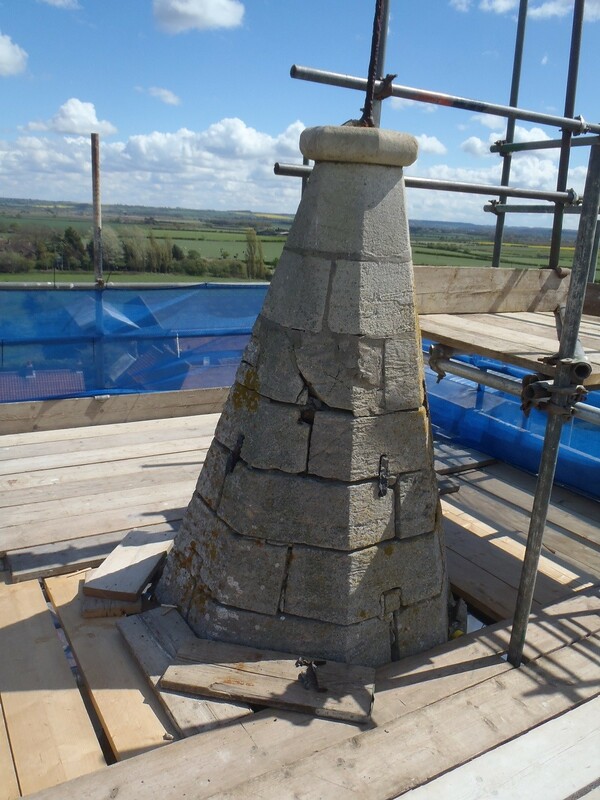 To top it off, literally, the cockerel weathervane, which appeared to have been used in the past for target practice was repaired, re-gilded and replaced. 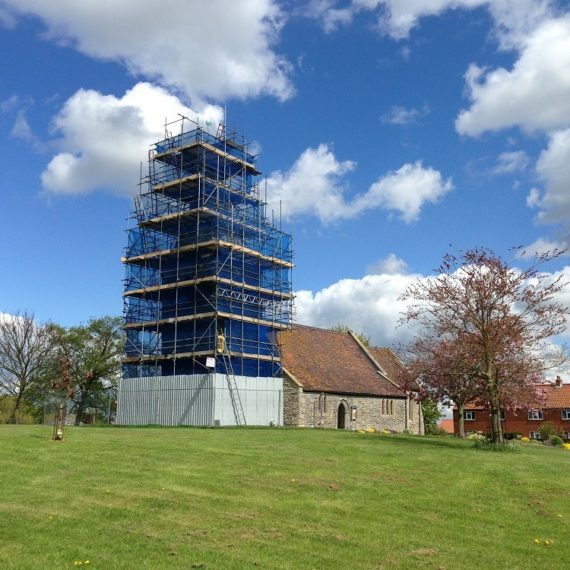 The project was partially funded by The Heritage Lottery Fund.